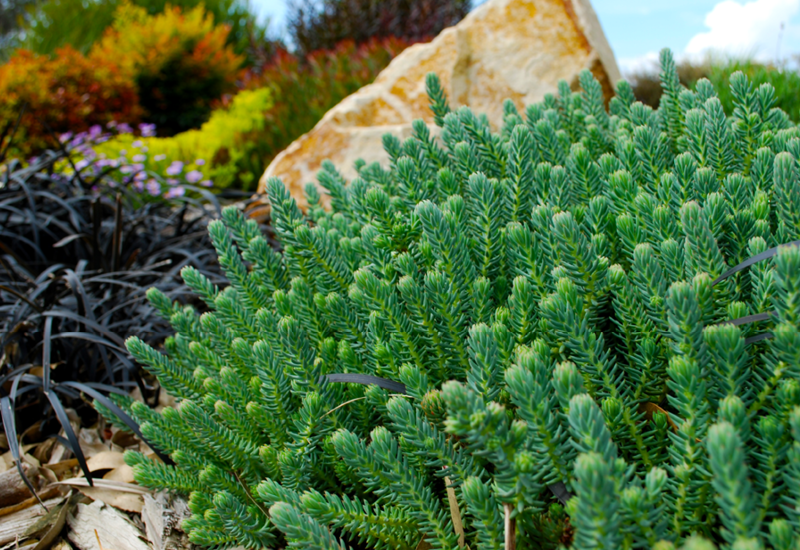 Sedum Blue Feather brings a modern twist to your garden. Feathery blue leaves which grow in a groundcovering mat, and would look awesome planted towards the front of your garden near a path. It’s easy to maintain and will fill up a space quickly. In summer, sunny golden flowers will bloom as an exciting pop of extra colour. Match and layer your landscape with contrasting burgundy-leaved plants for a stylish design.